2 kids, 19 years old, 19 courses. Groundbreaking chemistry techniques meet food in a stunning culinary adventure. As the old saying goes, “seeing is not always believing,” because this clear sphere is actually a loaded bite of cucumber, tomato, and garlic. How the hell is this possible? Well, that’s part of the magic. 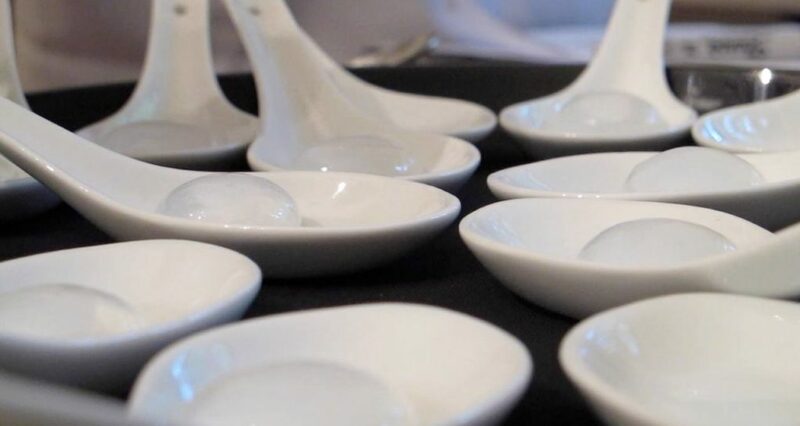 Along with the “gazpacho,” there were 18 equally mesmerizing dishes being served in David Lanster and Kelly Moran’s Axis Dinner Series pop-up restaurant this summer across Miami from May 19th-June 18th. 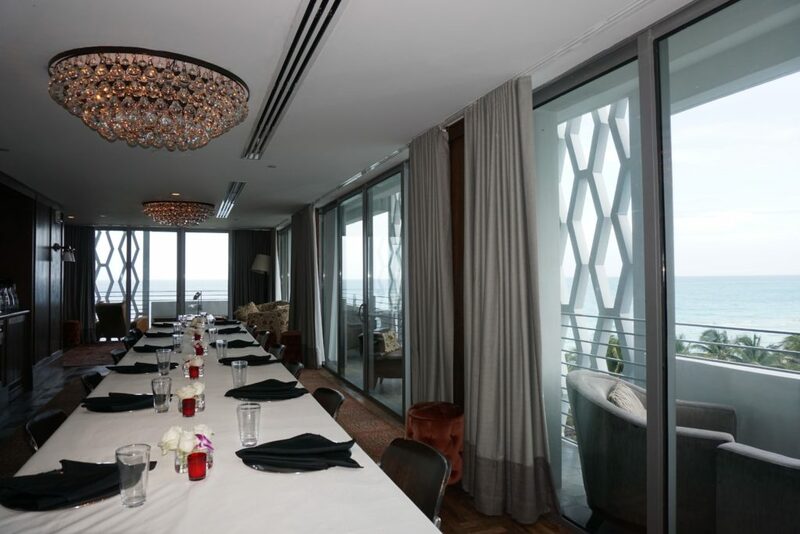 Locations for dinner service included places like Soho Beach House (pictured above) and Locust Projects (pictured below). 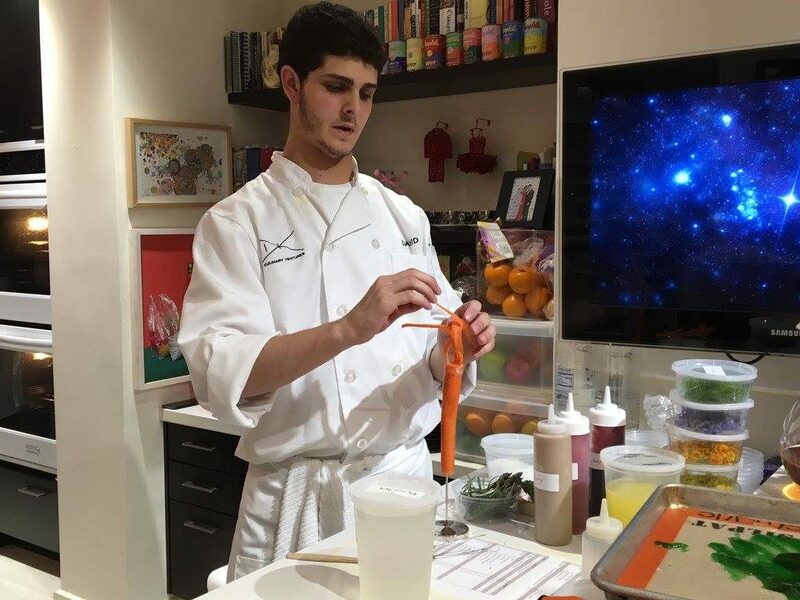 As for the chefs, Lanster and Moran are full-time college students, David studying biochemistry at University of Miami and Kelly international relations at Tufts University. Even with their busy schedules, cooking has always been a love of theirs. When the books are closed, the pots and pans come out. Or the Dehydrators, sous vides, and smoke guns, should I say. 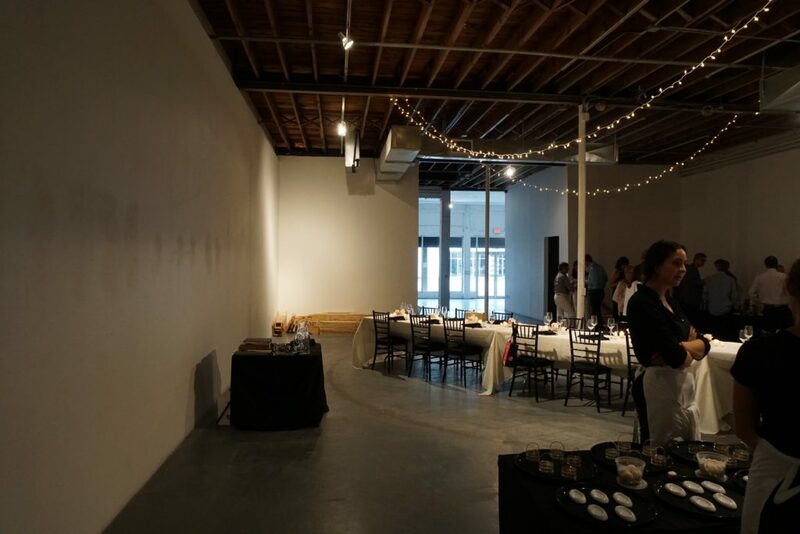 They whipped up a 19-course tasting menu served to 18 guests per night. The food consisted of a wonderful harmony of classical French techniques, thanks to Kelly’s love of the culture and language, an American backbone, and Modernist Cuisine flare inspired by David’s biochemistry major. David frequently works with his science teachers out of class to perfect his “recipes” which often look more like chemical equations. 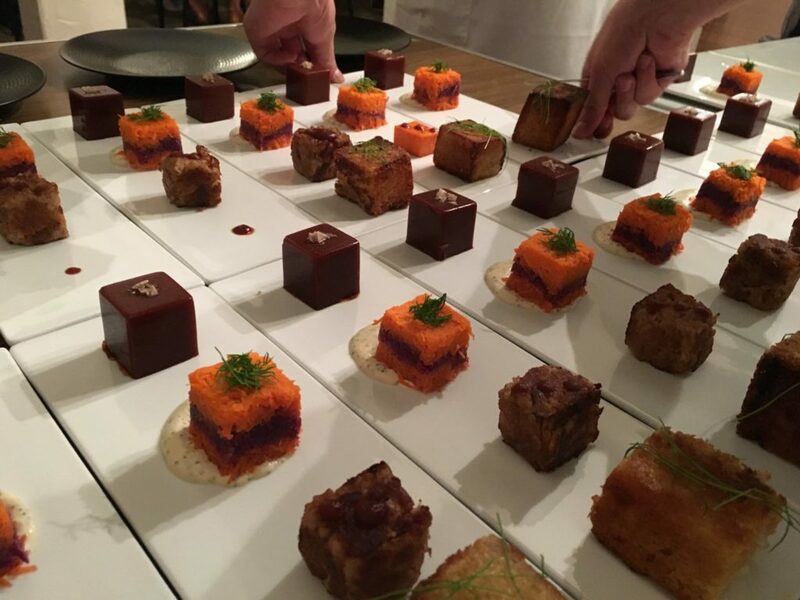 Dishes like “Pulled Pork Cubism” come out of his scientific madness, with solidified barbecue sauce, deconstructed cole slaw, apple smoked and braised pork cube, with homemade garlic Texas toast. 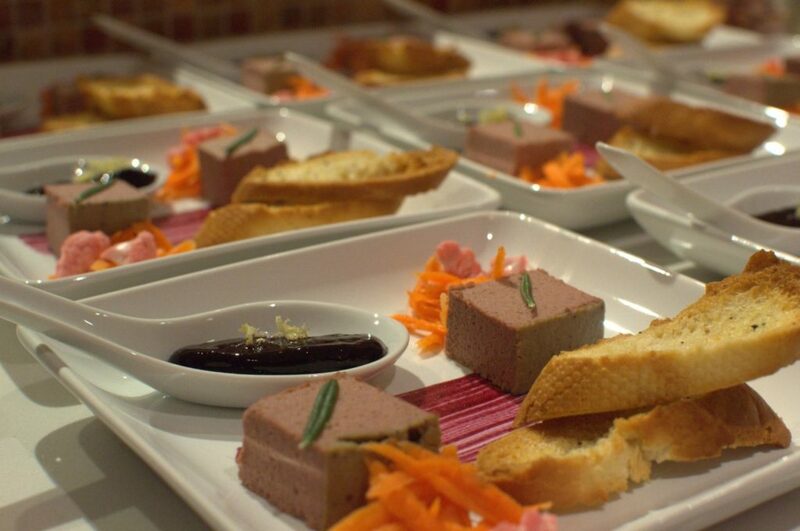 These gorgeous plates were not easy to pull off, and that is why another eight staff members, being a group of their close friends, helped them execute meals that lasted up to three-and-a-half hours. Click here for a sneak peek of dinner service at 55 times the speed. 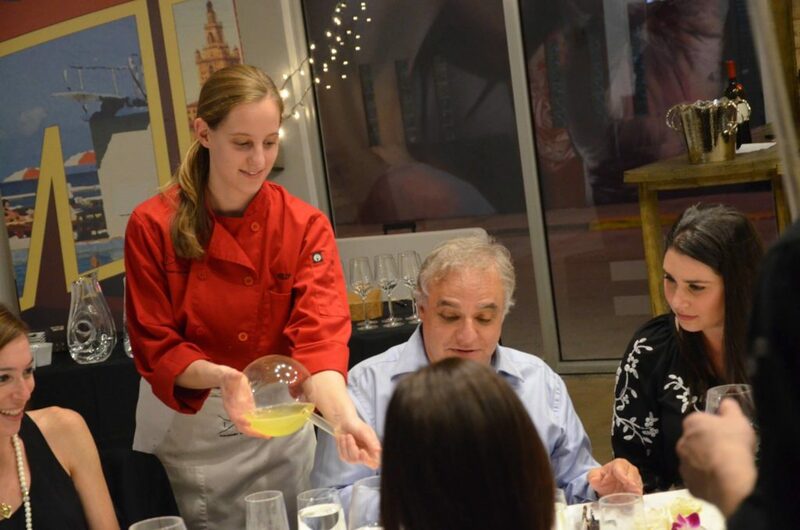 Here’s a glimpse of Lanster (pictured above) and Moran (pictured below) preparing and serving the various courses. 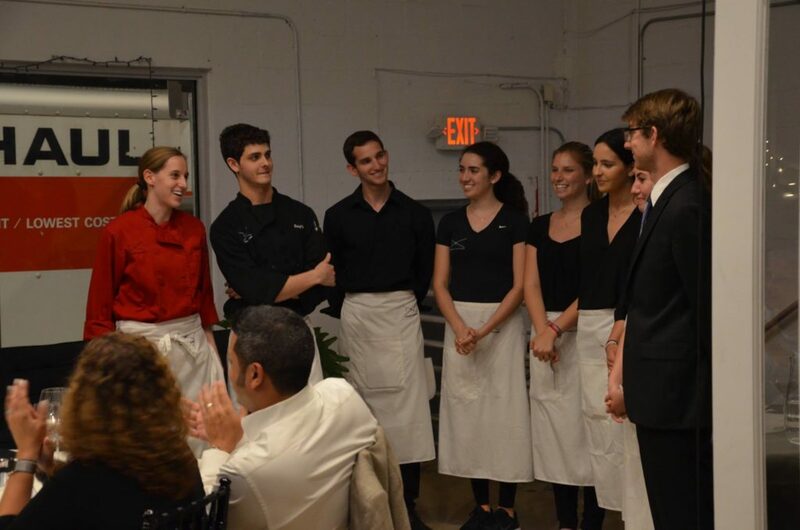 Guests, paying up to $165 per person, were served an elegant 19-course meal with wine pairings by a group of 19-year-olds, including myself, who is the maitre d’hotel for this whole operation. It was by no means easy to plate 18 courses to 19 people, which comes out to 342 dishes a night total, but it was rewarding to see some VIPs such as Lee Schrager (the founder of the New York and South Beach Food and Wine Festivals), Evan Benn (Indulge magazine’s editor in Chief), and Michael Schwartz (James Beard winner and chef at some of the best restaurants in Miami) get blown away by our 19-course adventure. 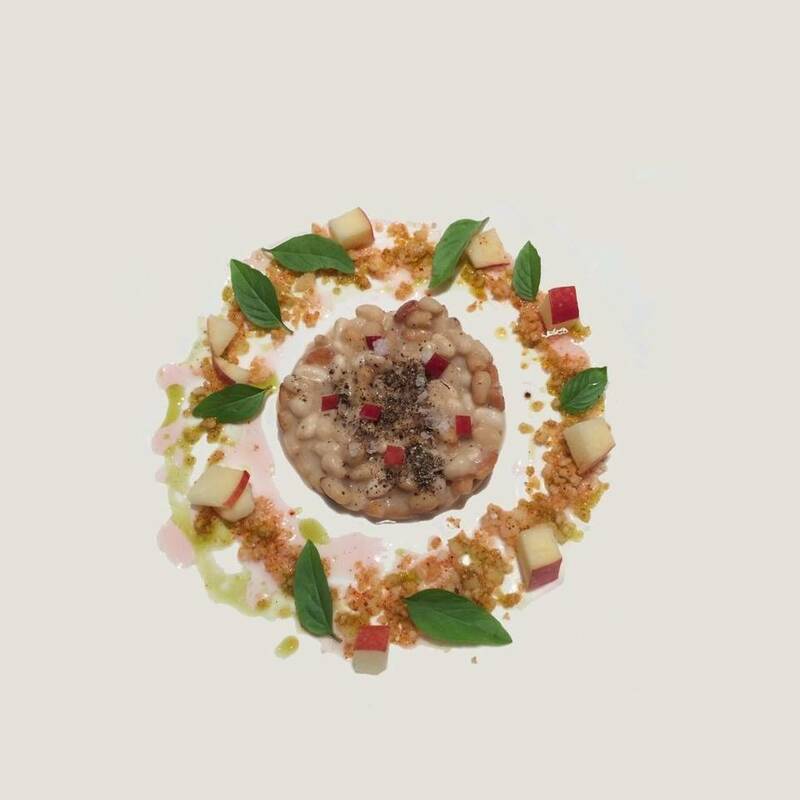 This dinner series was just another stepping stone for the dynamic duo, already having their “Pine Nut Risotto” with Thai basil, black pepper, apple, rye crumbs, and Youthberry gel voted one of Miami’s top ten dishes last year.